As orientation approaches, here at RU Student Life, we try to provide you all with tips and all the information you need for o-week, your first year, and your overall university experience. 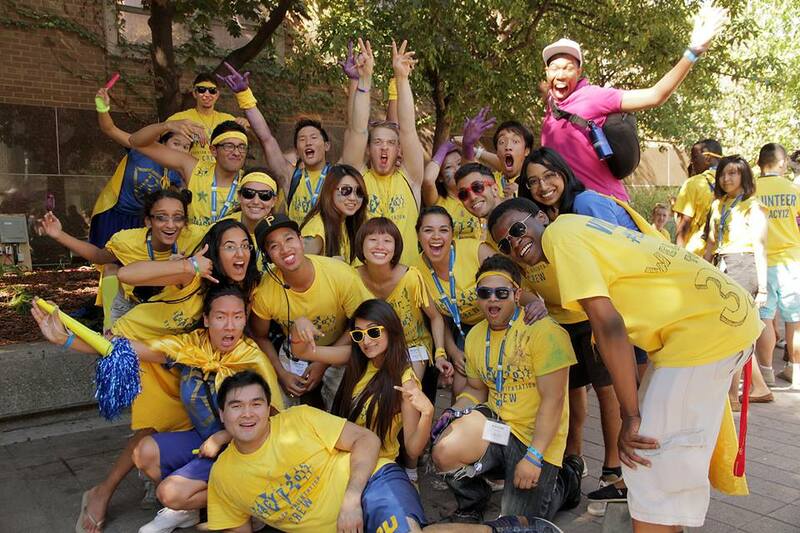 The O-Team will be the people running around in a frenzy wearing Ryerson t-shirts making sure everything is going smoothly and that you are enjoying yourself! 🙂 If you have the chance, thank them! They put in a tremendous amount of effort and planning to create this AMAZING week for everyone – and they are AWESOME people! Thank you O-Team! If you haven’t seen the video yet, check out this link and meet your O-Team! You know that one person that aaaaaalways has to have control, answer first, or be first in line? Well, yup. You will see tons of these people. It might be in the form of the biggest volunteer (ever) or the person who is making sure every event is done in particular order according to every single rule ever created. But take it easy on these people, that is their way of having fun and hey, we can’t blame them! The second character you will see will be very quiet and shy. You’ll see them at the back of the groups, standing alone, or trying to leave early. If you see someone like this go up to them and invite them to hang out with you and your friends! Chances are they are hesitant to participate because they are alone – give them some company and who knows – you could end up BFFS! Okay so this character is super fun. They are just running on adrenaline 100% of the time. They will be the ones that make it their life mission to win every event and do it with incredible passion and enthusiasm – complete with face paint and their own flag. These people are the true o-week fanatics, and as organizers, the people we LOVE to have around. Their energy and positive outlook just bring the whole spirit of the student body up! So these people are the ones sipping on that hateorade. All they will be doing will be talking smack about how there are so many better things that they could be doing right now with their time…yet they are still here.. (gotcha ;)). My mission for all of you is find one of these characters and convert them to an o-week Ramily member!! You’ll definitely be able to spot this character! They will be glued to their phones and taking pictures and videos – uploading everything to social media! Those who don’t attend orientation (boooooo) won’t miss a beat because the social media maven will have documented the whole thing for your viewing pleasure!